Pot Up Your Bulbs NOW! 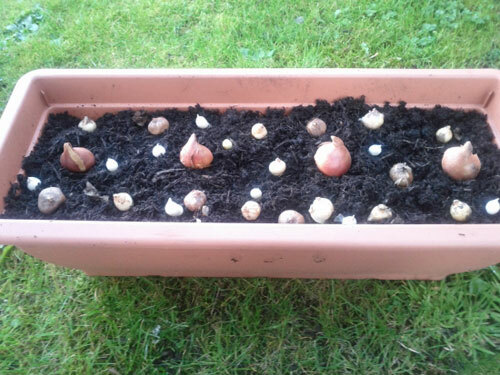 Seems early but it's not - Now is the time to plant garden bulbs. Below we will talk about a good way and a good enough way to get this job done. Check it out! 1. Use a bulb planter and dig to the depth required. A rule of thumb is to go two to three times as deep as the bulb is tall - just not too shallow, lest the squirrels make off with your bounty. This rule is the same for whether you plant in the ground or a lovely garden planter that is placed on your patio or front porch. Consider spacing and pattern, so you will have a lush flower bed come spring. Place them an inch closer together than the directions say. 2. 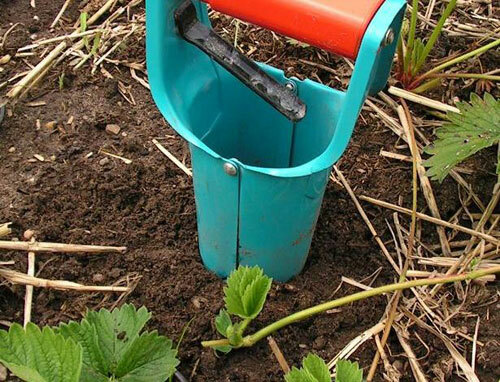 Add bone meal about a tablespoon to each hole as an organic fertilizer. This step really helps when the bulb starts to grow. 3. Carefully place a bulb in each hole, with the tip pointing upward - this helps ensure that flowers will grow to about the same height. 4. Refill the holes with dirt. Add a two or three inch layer of mulch atop the planting area. 1. Save time and give your garden planters a more natural look. Skip the fussy bulb planter and just lay them around the top of the pot in a trench. Make it wide enough for a single line. Scatter bulbs with a bit of space between them. 2. Sprinkle bone meal and cover with soil and top with mulch. 3. Or save the work till spring. It's the only option in climates that don't have cold winters. Sort the bulbs in paper bags by variety and stash in a fridge crisper. Plant immediately after removing from the cooler. Read more.....October what to do in the garden now.